The private tutorial has been created to meet the needs of individuals who would like to be in control of their learning experience. 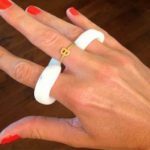 Whether you are a beginner or an experienced therapist, a private tutorial will provide you with the skills needed to fabricate any well-fitting, custom-made splint. 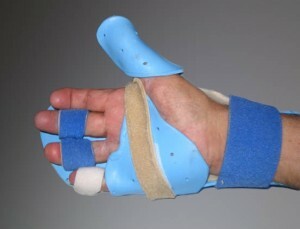 Often, the beginner therapist feels that they do not learn well or they do not practice enough in national splinting courses. They may be feeling uncomfortable about their lack of skills and prefer to learn at their own pace. 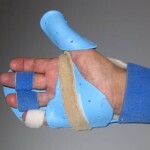 The individualized instruction will increase both the confidence and splinting skills of the participant. 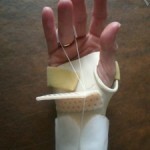 The more experienced therapist may chose a private tutorial because they have specific needs pertinent to their clinical practice and their level of splint-making skills. 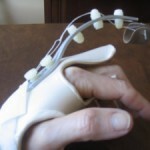 These therapists may already have taken one or more splinting courses and are ready for a more intense and individualized learning experience. 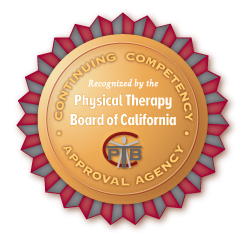 Once a therapist has chosen a private tutorial, he/she will coordinate the date and the content of the course with the instructor. The lecture and splinting labs will be designed for the participant and will not be limited to the standard courses offered by the instructor. The participant may choose to bring friends/co-workers to the course to share in the comprehensive, but relaxed learning experience. The course venue is in Carlsbad (northern San Diego), however the participant’s facility may be considered.